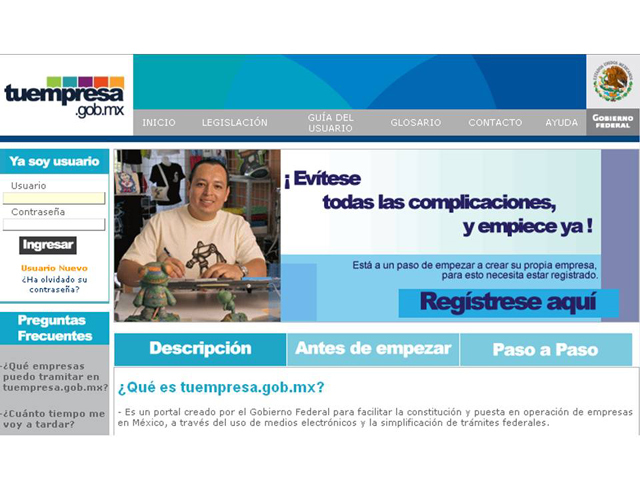 Tuempresa.gob.mx is the new e-government tool developed by the Mexican officials for doing the basic proceedings needed to start a business in Mexico. The output of the Portal includes company name registration, Tax ID, incorporation statements, and the registration at the local Public Register of Commerce and Property. Government fees for this first steps US$220 can also be paid at the Portal. It is important to consider that several proceedings needed to launch a business are not included in the Portal. The proceedings mentioned in the previous paragraph are only the first basic steps. 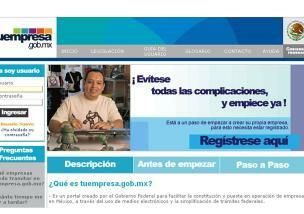 For example, the company´s social security number is obtained attending to the Mexican Social Security office. The participation of a Public Notary is also needed in the process. At the beginning, 10 Mexican states have subscribed to this innovative source. The Federal Government expects that the 22 remaining will be incorporated in a few months. This service is available in the states of Campeche, Coahuila, Mexico City, Estado de Mexico, Guanajuato, Jalisco, Morelos, Nuevo Leon, Sinaloa and San Luis Potosi. The pitfall of the Portal is that it only considers common enterprise cases; more complex start-ups, like the ones including foreign investors and several powers of attorney still need to be performed in the traditional way. Additionally, it only has in Spanish version.